Info on this 1980s Washburn Monterey? Re: Info on this 1980s Washburn Monterey? It's a very nice Festival series guitar, Will, and from the serial number I'd say you're right about the production period...but the serial number starts with "90" so that suggests that it is a 1990 model. The Festival series is a unique beast...played unplugged they sound very "thin", not like a full size guitar would sound...but when they are played "juiced" (through an amp or a PA system) they really shine. 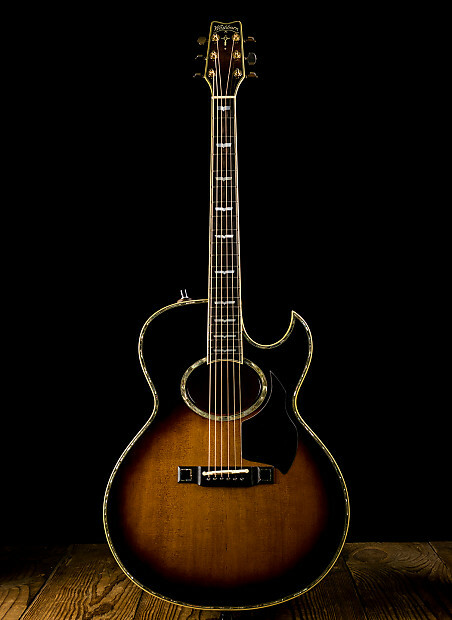 I must say yours is the most attractive Festival series guitar I've seen. 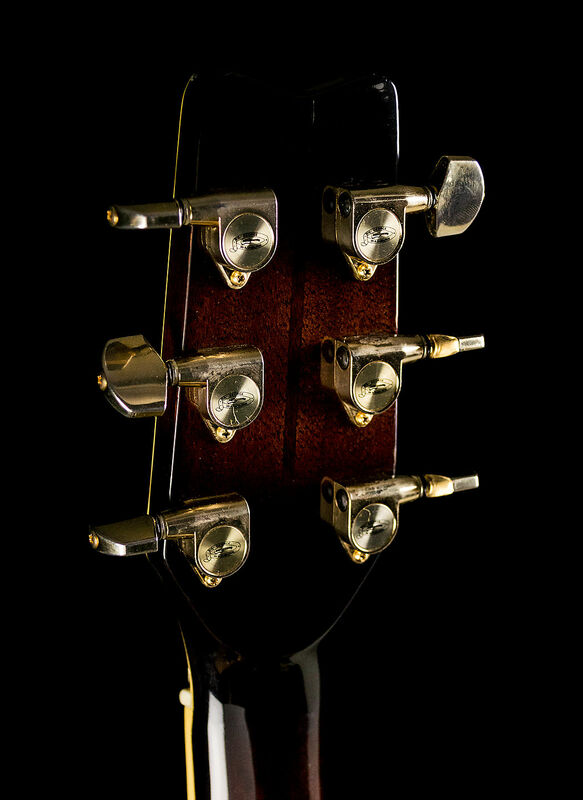 The use of the gold on the tuners and the "...burst" (the paint job on the soundboard of the guitar) make it a real standout visually. Do you have an amp? You'll need it if you want to hear it at its very best. I will continue to search the archives for more information for you, but you've posted your question in the right forums. Speaking of which, the forum seems to be the "red headed step child" of the administration of Washburn. I can imagine why...their "Facebook" presence would undoubtedly be more active (Facebook seems to be taking over the net at times), so the forum isn't getting monitored and many of us cannot post on the forum for various reasons. For me I must be on a PC to get my posts displayed, if I try to use my iPhone the forum refuses the post and says if I get that message again I should contact an administrator...which I have done numerous times and have never even gotten a "...go to hell" response, much less seen the issue resolved. Many of us who have been here for a long time see this as the end of the forum. Do you Facebook? If you do I'd suggest you try the Washburn Facebook page...or do they call it a wall? I don't Facebook, so I don't know what kind of stuff is on their "wall". Hope you'll continue to post. 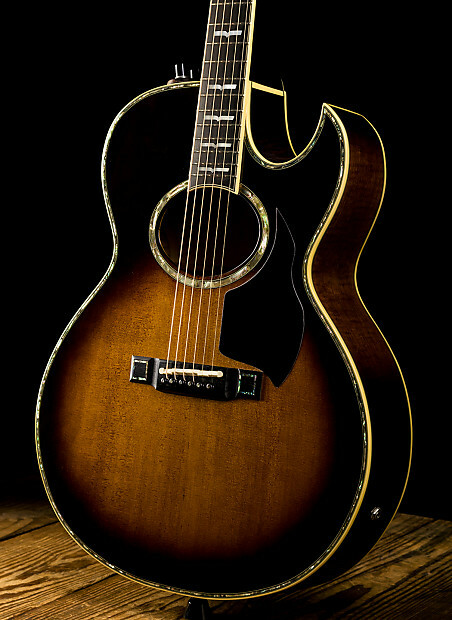 That is an absolutely gorgeous guitar! I'd suggest you have it inspected by a good shop tech or a luthier...if you haven't played it, you might find that there are unexpected buzzes and snap, crackle and pops from the electronics. They get corroded and gummed up and then the guitar sounds like crap. It's nice to see you like it. I've had many Washburns and surprisingly my WD32SW (an all solid wood guitar, supposedly the best construction available) is the most difficult to play guitar I've ever owned. Perhaps consistency was one of Washburn's challenges? Hoping I can find more info for you, but you might run a search for your model number and be surprised how many (or...how few) there are out there. The search function is directly to the right of "Home" on the grey bar at the top. I'd search for "Washburn 1990 Monterey Artist"
As for a valuation, well, our forum member Tony Raven has provided them at times, but he is very vocal about the amount of time it takes to do one of his searches (and his most often used source of information, the "blue book", seems to be on the way out as the world switches from pencil and paper to digital/internet) and how much his time is worth. I'd suppose he's right about that...but he's the best historian we have for recent Washburns (Ship of Fools is very knowledgable, too, but he specializes in the older parlor guitars, so he may not know about Festival. As time permits I'll continue to search for information for you, but tomorrow I fly out from Kansas for a week moving furniture back from the Houston, TX area, so I won't be on the forum much since I can only post from my iPhone and the Washburn forum says I can't. Thanks for the information, and for the insight about the forum! As far as an amp, I've got a Behringer Ultracoustic 45-watt amp that I will be using for gigs and practicing with the guitar. There's a very knowledgeable, well-staffed music/guitar store here in Auburn, AL. 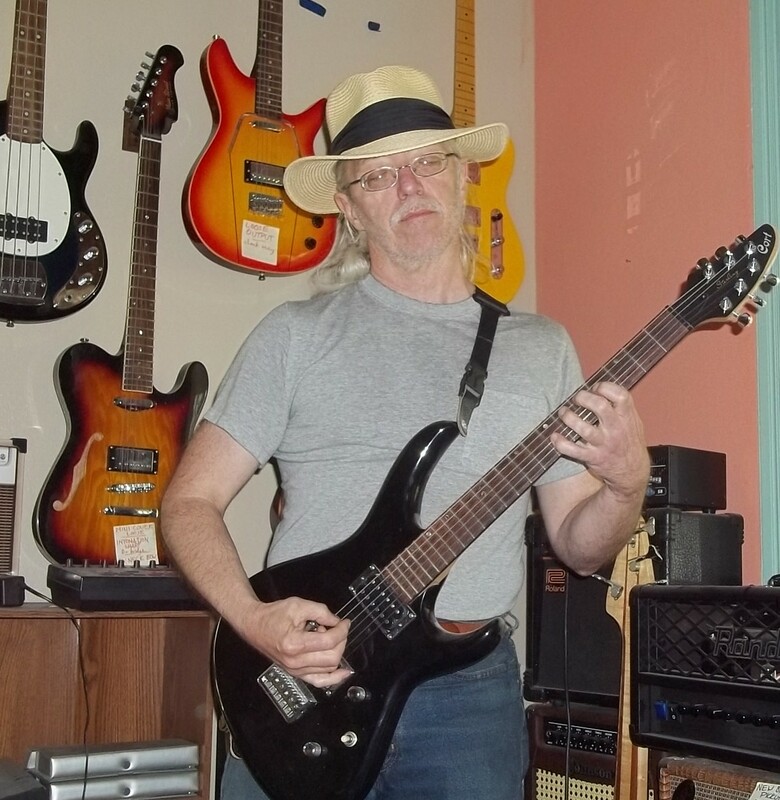 So if the guitar seems to have any issues I will definitely get it in the store and let the guys at Spicer's Music check it out. If all goes according to plan, it should arrive this afternoon and I'll be able to report back about the kind of shape it's in and any model numbers I might find. Thanks again for the insight, Dugly! I'm going to enter this piecemeal, as the dubious forum software has already destroyed one reply. For the record, I only get cranky when some first-time poster pops in here -- never with photos, often with no description whatever -- to DEMAND hard info on a particular axe RIGHT DAMNED NOW then comes back in twenty minutes all sorts of whiny because nobody's responded yet. Yeah, I might give them the "my time's worth money" lecture, if I don't ignore them entirely. the serial number starts with "90" so that suggests that it is a 1990 model. Yah, no, not really. There's an old saying that "Common sense is what tells you the Earth is flat" , & this is one of THOSE things. Not all Washburn serial numbers reliably indicate date. Though details are foggy (I didn't keep notes), a couple years back I saw an eBay listing for a guitar whose s/n began "86-" for a model that was only made 1992-1994. Soon thereafter, someone showed up here with a similar conundrum. In any case, it's VERY unlikely there's a two digit year code in five-digit numbers (& certainly NOT in four-digit). 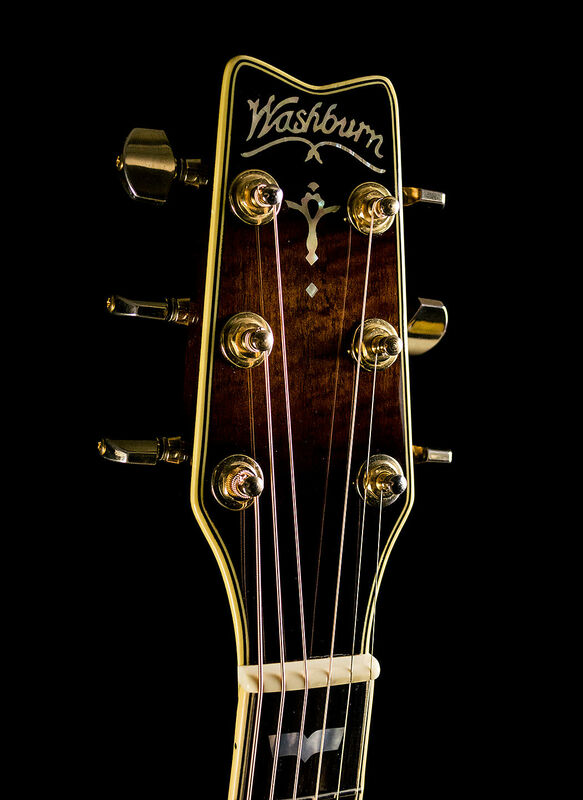 If you sacrifice the first two digit spaces to year, that leaves room for 1,000 unique numbers for the entire year, & it's unlikely (though not impossible) that Washburn had the factory make only 1,000 guitars. So in this instance my guess is that it was probably finished in 1989, being the #210 Washburn-branded axe from that maker for the run year. Beverly Hills, 90210 is an American teen drama television series ... originally airing from October 4, 1990 to May 17, 2000. I see I'm not the only one at the mercy of Washburn's failure to focus on their forum, Tony. Please rest assured that nothing I said about you was meant to be critical. I've always admired the way you go out of your way to get information to our members...it'll be a sad day when (if) you leave the Washburn forum, you're among our most knowledgable members, IMHO, and the only active one who can decode and decipher the various codes Washburn has used over the years. You've been quite generous, IMHO, with your time and only when it was obvious that someone was being overly demanding did you ever say anything about it. Cheers to you!!!! Hey guys, just wanted to follow up with an update about the guitar. I've had it about a week now and I've got no complaints! The serial number is, in fact, 90210, but I have been unable to spot any other form of ID other than where 'Monterey Artist' is stamped. It plays extremely well and sounds good too, both plugged in and unplugged! that's beautyful. Thanks for the information guys.